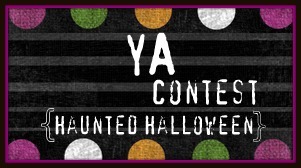 A Life Bound By Books: Haunted Halloween: Update's - Posts + Giveaways! Story due by 10/15. Click HERE for details. 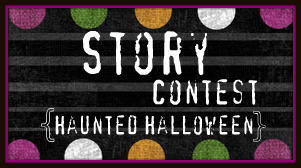 Story Voting Round 1 Ends 10/22. Click HERE for details and Vote Now! 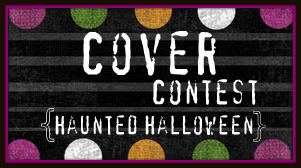 Cover due by 10/15. Click HERE for details. 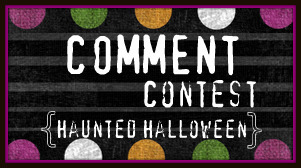 Comment contest through 10/31. Click HERE for details. Contest Ends 10/24. Click HERE for details. 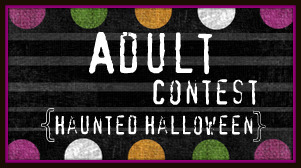 Contest Ends 10/31. Click HERE for Details. (J) Julie Chibbaro Story + Art from her Husband who illustrates throughout her book. (J) Kimberly Derting - Exclusive! Desires of the Dead Prologue! Haunted Halloween - Some Winners! *Claudia Gray - Story + A Giveaway! INTERNATIONAL! Ends 11/12. 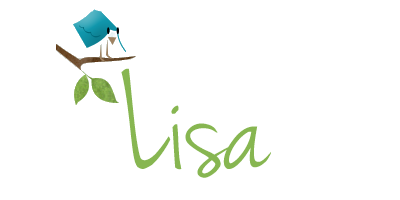 *(J)Lisa Desrochers - Story + A Giveaway! US only. Ends 11/12. *(J)Sarah Ockler - Story + A Giveaway. US only! Ends 11/13. *(J)Simone Elkeles - Story + A Giveaway. US only. Ends 11/13. *Ryan Potter - Story + A Giveaway! US only. Ends 11/14. 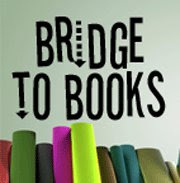 *(J)Kristie Cook - Story + A Giveaway! US only. Ends 11/14. Thank you guys for hosting the awesome Halloween event. I know its going to take up a lot of your time and I appreciate the generosity. Thanks for hosting all of these giveaways, guest posts, and whatever else the event has to offer. I look forward to reading all of it! This is such a fun giveaway- thanks for hosting it. This is awwsome. Thanks for letting us know whats happin. Stopping by to say I have an award for you at my blog. Thanks for hosting this. Loving it so far. I just love this time of the year!!!! Great Contests!!!! I think I'd be lost without this updates post. Thank you so much for being so organized! Thanks for putting a page with contest links and updating it! It is so annoying to click through to expired contests over and over. It is very cool that you put up which ones are closed! Thanks! I discovered this awesome contest pretty late, so this page has been really helpful in helping me to catch up on all the great posts and giveaways! Thanks!! !